Photography has always been an interest of mine. I just love how if you want to travel back in time, you can look through a photo and it will give you the sense of how things were back then. You can imagine what that person in the photo was like, what they were doing or where they ended up in their lives or if its a place, who frequented there, what were the things that took place and so one. It's fascinating to me how we found a way to capture that one moment in time forever, it's precious because not many things are (although technically that photo can be destroyed, not having the power of being forever but you know what I mean). Isn't it weird when you are going through your old photo albums and you see yourself as a baby or kid? It's so weird because it's your current you looking at your old you... I don't know about you, but for me this concept is so bizarre... and cool! 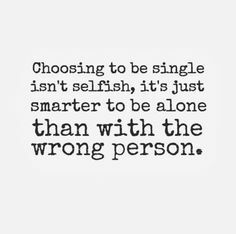 I am not weird okay. 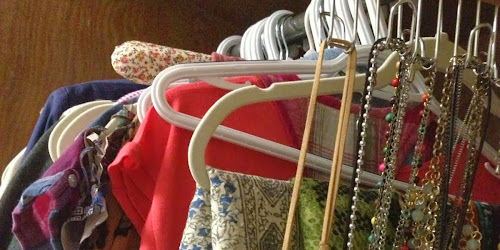 I am currently enrolled in a course called "Seeing Through Photographs" offered by The Museum Of Modern Art (through coursera.org). 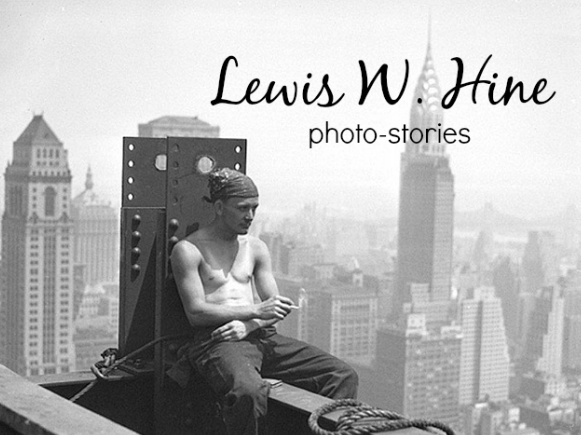 So far I am learning about the American photographer Lewis W. Hine and I literally spent the whole day reading about him. One of the reasons you take this course is for you to be more literate in the world of photography, to understand that each photo has been constructed in such a way to communicate a message, it posses a reason and how its role influence society and beyond. Mr. Hine played a great influence on social issues, he not only was a photographer but also a sociologist. 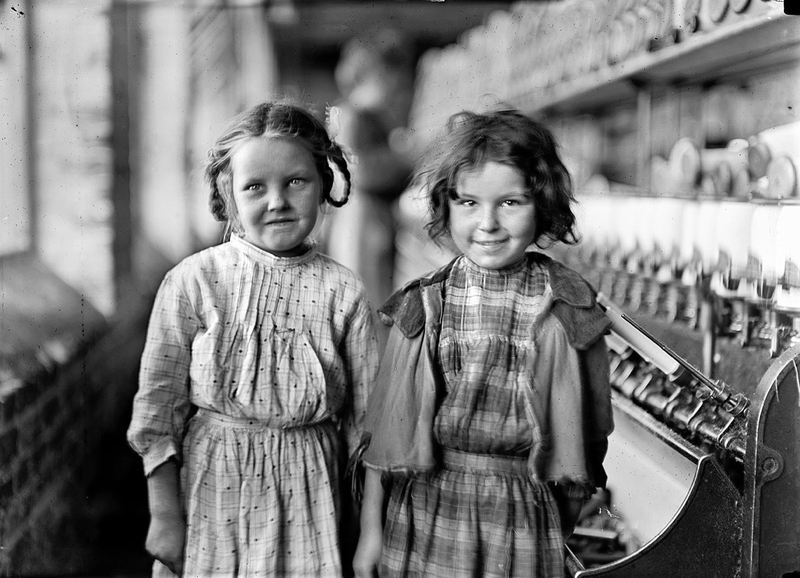 He is known for numerous projects of course, but the one that surpasses all is his series of photographs that influenced in the formation of child labor rights in America during the 1900's. Back then it wasn't abnormal for children to be working, after all, the families needed the help of their kids on the farm. But then other people started using (rather abusing) the work the kids offered in the farms than later on went into other areas such as factories thanks to the industrial development. 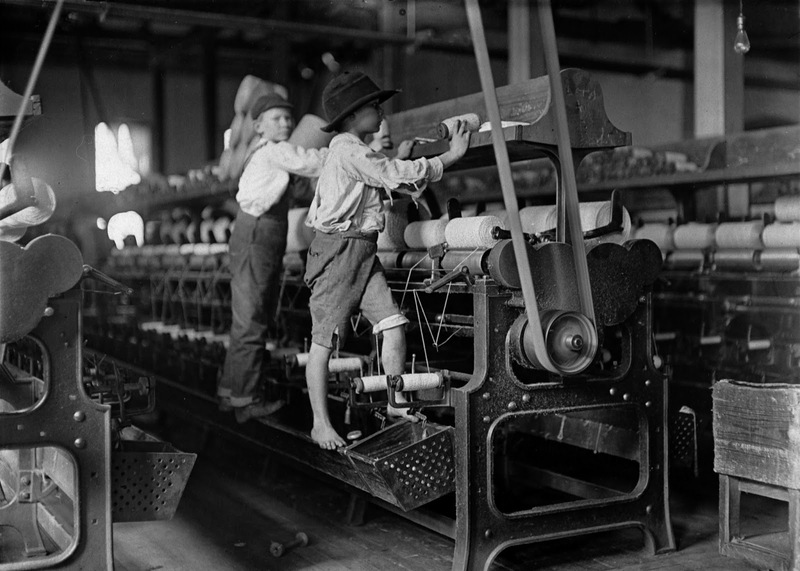 Due to the large mass of migration to the United States from mainly Europe, child labour grew immensely and things just went out of control. 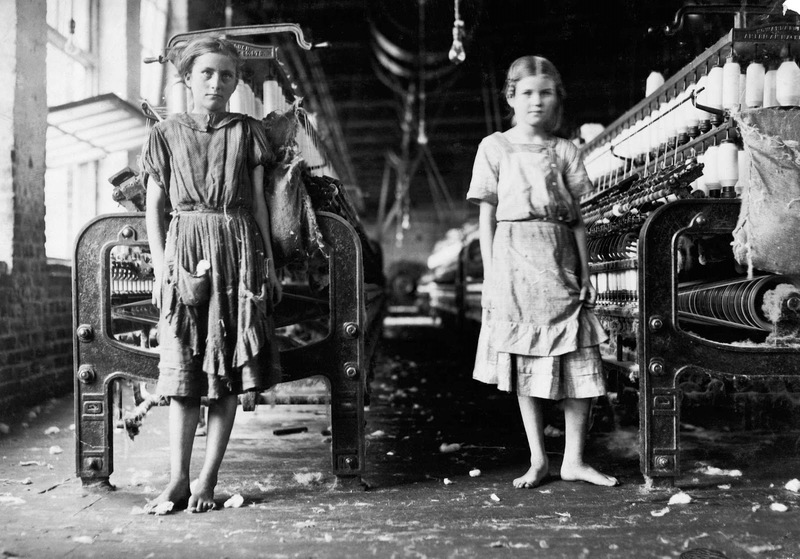 I mean, we are still battling the issue of proper working conditions today (like in the sweatshops situation), you can only imagine how it was back then! Some examples down below show how these poor kids were found, its heartbreaking. He also took photographs to record the tough and dangerous process of constructing the Empire State Building (these in particular give me such vertigo). Looking at these photographs, I want you to really stop in each one and feel it, feel the surroundings, the details, machines, the people in it, what they were wearing, what was their facial expressions or what they were doing. Just try to create a story behind each of them and feel the whole atmosphere...just try to let yourself travel back in time. All these people are probably gone from the face of the Earth by now but here, in these photos, they remain forever. Just as some of the ancient Native American tribes believed that in every photo, the soul of the person is stolen away, maybe in these photos we can believe that a part of these people's souls remain alive through them. 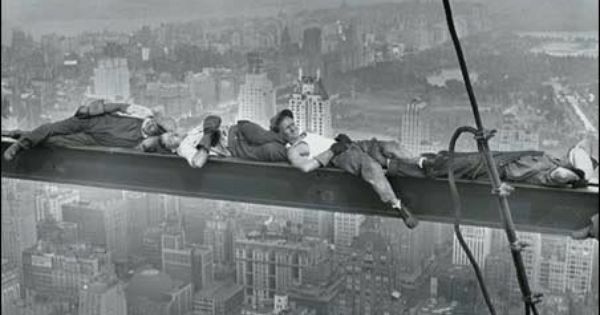 In the following photos, can we just please acknowledge how courageous these men were to go all the way uppppp and work??! I swear I get such vertigo from these photographs! Its so crazy, not in a million years I would go up there.